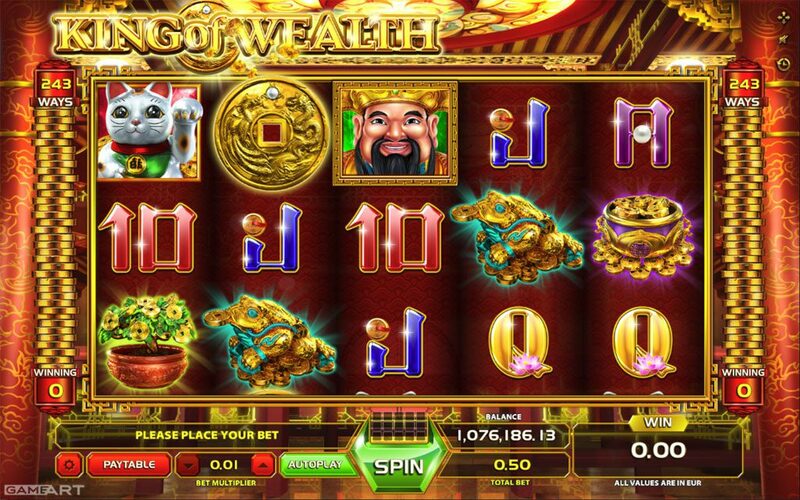 The amazing graphics design and attention to the detail for this Chinese themed slot game. 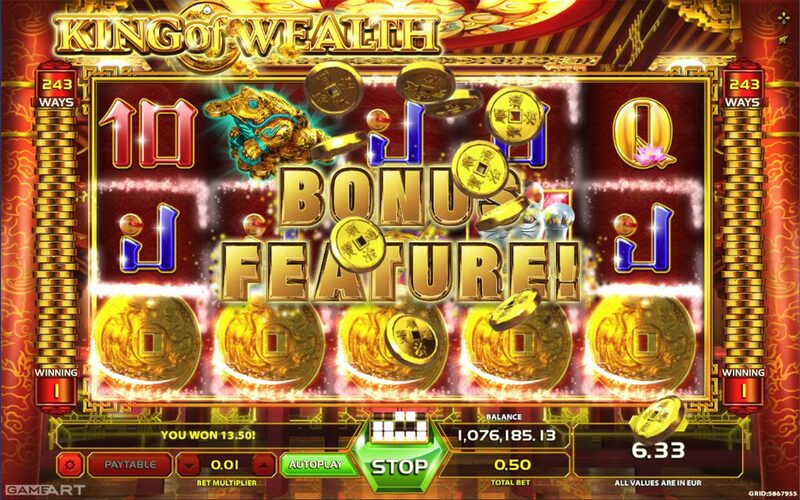 KING OF WEALTH is a 5 reel – 243 win ways slot game and its 3, 4 or 5 scattered Coin symbols trigger the bonus feature. 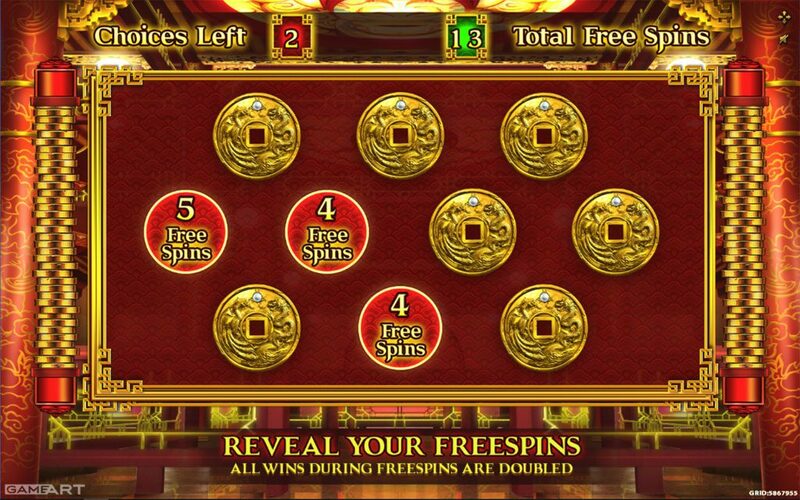 In the 2nd bonus screen you need to select the number of free spins by picking the Coin symbols. 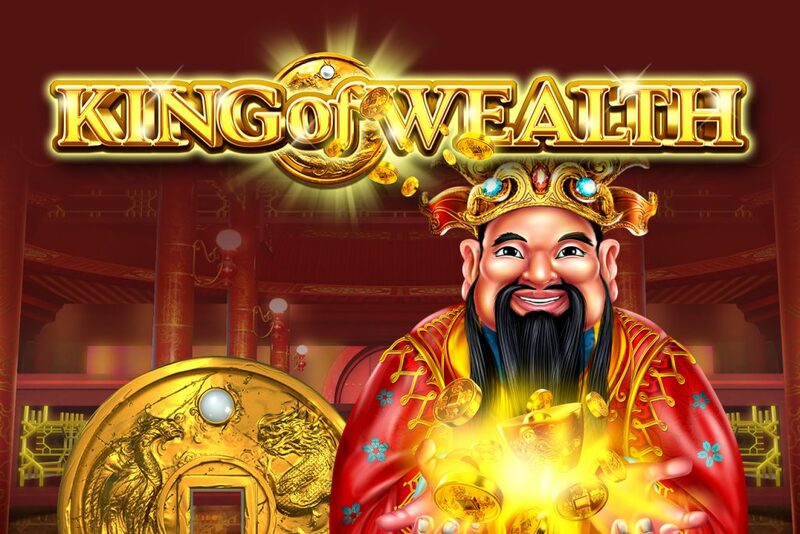 During the free spins KING OF WEALTH wild symbol awards additional bonus prizes when substituting. Bonus feature can be retriggered during free spins.